More than peace of mind. Welcome Gate make genuine recommendations, install and maintain cutting-edge solutions, to ensure maximum security for your premises. Welcome Gate do more than sell security products. We offer tailored security packages that ensure your premises are safely monitored, guaranteeing smooth day-to-day operation. Our approach begins with a conversation, to develop a considered assessment. From there, we take the time to research and recommend the right solution for your business, thinking beyond security and matching the solution to your systems. If all you need is a simple, low-end security solution, we’ll tell you. You’ll never spend money unnecessarily or waste time. Your installation is led by our team of experienced engineers; experts in delivering complete peace of mind both during and after your project. Welcome Gate offers an effective and affordable way of maintaining security, allowing you to rest easy in the knowledge that your company is operating safely, on budget and on time. We’ve spent over 10 years tailoring bespoke security packages to suit individual business’ needs. 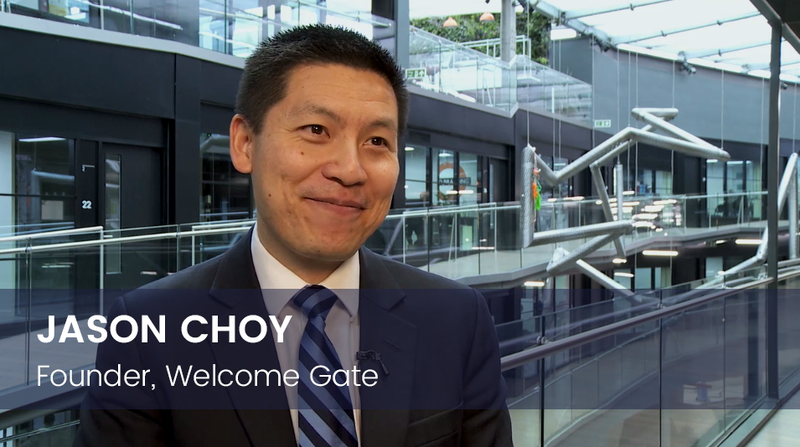 Whether you know the solution you’re looking for, or you’d like genuine and impartial recommendations, Welcome Gate will support you in finding the system that truly fits. Identify visitors before granting access to your premises. Our systems allow both visual and audio interaction, day or night, enabling you to interact with visitors at a safe distance. Contact one of our consultants on 020 7620 6288 or email support@welcomegate.com today to discuss how our services will work for you. Gain complete visibility of your premises, inside and out, and store the images for as long as you need. Welcome Gate will ensure you receive the right solution for your requirements, ranging from a single camera to multi-site installations. Replace outdated, compromised paper-based records with a flexible, computerised tool that captures, searches and retrieves data about your visitors at the touch of a button. Manage the entry and exit of people to and from your site, combining innovative identification technology with security gate solutions. Our team has extensive experience across a range of industries,ensuring your solution always meets the appropriate level of security for your business. Entrance gates, physical barriers, fencing, and the latest in invisible perimeter intrusion detection technology. Highly secure yet aesthetically appropriate, these solutions protect your buildings & open spaces and ensure the safety of your personnel. Reduce the risk of theft, corporate sabotage and vandalism. Your premises need a good alarm system that effectively safeguards assets, data, valuables and property. We’ll make bespoke recommendations depending upon the size and the nature of your business.